What an absolutely lovely newborn photoshoot with this gorgeous baby girl and her parents at their home in Dulwich South East London. This little one was such a calm and peaceful baby. She didn’t wake once during our photoshoot! It is rare but wonderful when this happens, the timing was perfect following a nice big feed and she was relaxed & ready for her photoshoot when I arrived. She was also the first to model my beautiful handmade, little mouse bonnet with matching sleeping bag. It is so soft and beautiful, I loved snuggling her up inside it. I love the way her gorgeous dark hair peaks out from underneath the bonnet. 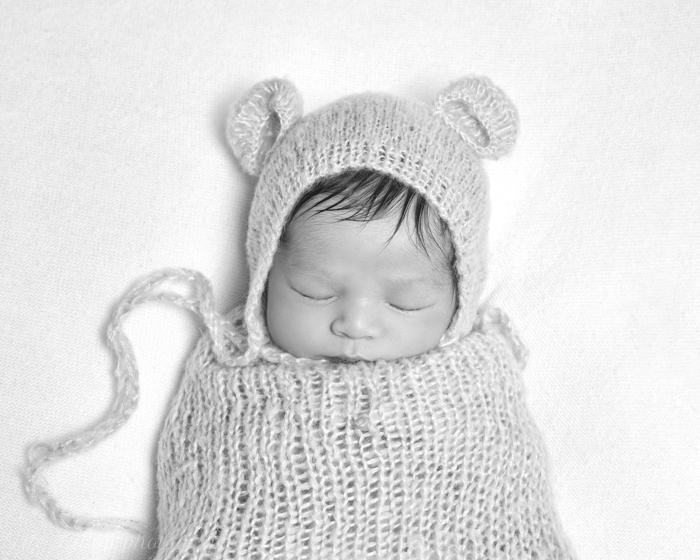 The precious moments captured during a newborn photoshoot are like no other. It’s very early days for new parents and the incredible love & protectiveness they feel towards their new baby is overwhelming. It is not unusual for everyone to feel overwhelmed with emotion (including me) during the photoshoot. 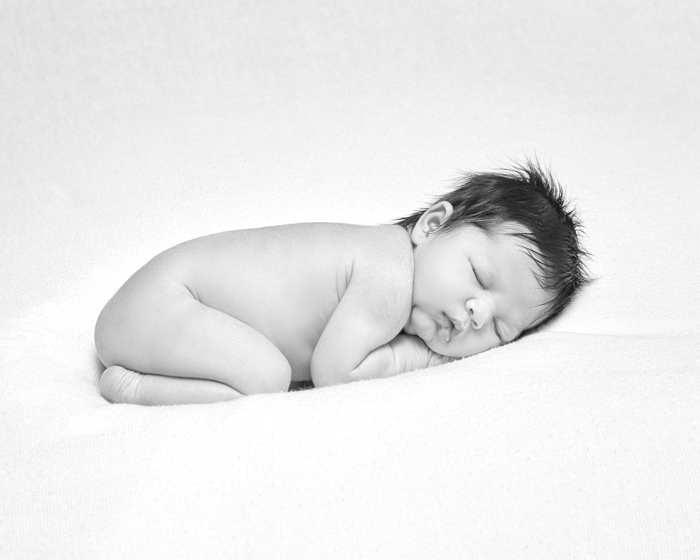 It’s such a beautiful time to capture and in the peaceful and calm setting of your own home with your new baby. I’ve chosen this series of portraits for my blog. I love this mother & baby picture. You can see just how natural & calm she is with her baby. No wonder her baby was so content! I love the contrast with the black and white backgrounds that I use so I’ve followed with a natural baby shot on my soft white backdrop. Just as nature intended. Perfect, tiny, little one, curled up sleeping & peacefully. For me there is nothing more incredible than your baby fitting so sweetly in Daddy’s arms and hands. Gently cupping his daughters head in his hand while she sleeps. Her hand lazily dropping down. The days of the Daddy hammock. What a way to sleep! Followed by her little snuggle mouse ear picture. Which is just too adorable for words. Then a tender moment shared between father and daughter. Both parents completely in love with their little one. Her protectors and her hero’s. Newborn Photography session’s take place in your home with me. I would be delighted to discuss details with you. Just simply complete your details on my booking page and I will get back to you with a full price list and session details. We have a few remaining spaces for July, August & September baby’s but not many so do get in touch to book as soon as possible. 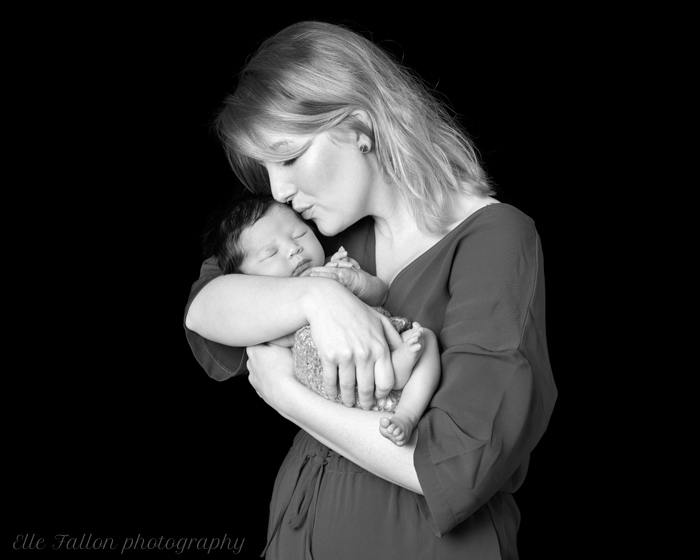 We also have a wonderful and very popular pregnancy & newborn photography package. Thank you to my cLient’s for permission to share their beautiful pictures. Also for the wonderful review – below. This entry was posted in baby photographer, Baby Photographer London, Baby photography, baby photography london, childrens portraits, family portraits, maternity photography, Newborn Photographer Brockley, Newborn Photographer Canary wharf, Newborn Photographer Dulwich, Newborn Photographer Fulham, Newborn photographer Greenwich, Newborn Photographer London, Newborn Photographer South London, newborn photography, newborn Photography Chislehurst, newborn twin photography, NewbornPhotographerChelsea, North London Baby Photographer, Pregnancy and Newborn Photographer Primrose Hill, pregnancy photographer, Pregnancy photography, Pregnancy Photography Chislehurst, Royal Baby, Royal Photographic Society, South London Baby Photographer, twin photography, Uncategorized, West London Newborn Photographer, West London Photographer and tagged Baby Photographer SE21, Newborn Photographer SE21.